Sistema Guals® offers to all veterinarians, agronomists, consultants, ... an unbeatable offer about our applications and services. Contact us and receive a free personalized card. 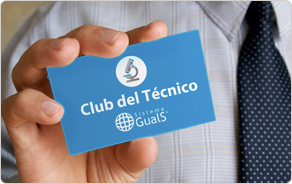 Once activated, the card can benefit from all advantages of being a member of Sistema Guals® Technical Club. If you want, you can ask us for a budget on line and we will attend you and advise yo. ¿How did you meet us? ¿ How you met us? Connection to Psion, PDA / Pocket, etc.. Your request is sent successfully, shortly we will contact you.